It was a massive moment for the series when EA announced FIFA 15 would officially license all 20 Premier League grounds for season 2014-2015. Since then, fans have been hoping that other leagues would follow suit, including Serie A, Bundesliga, La Liga and maybe even Ligue 1. Aside from a few arenas here and there, mainly from the far reaches of MLS, or divisions in Saudi Arabia, Mexico and Argentina, new stadiums have been thin on the ground for FIFA. Until now, that is. Yes, Italian, German and French footy hardcores will still have to put up with the same as before, but lovers of the Spanish game are in for a treat. For the first time ever, EA have licensed 16 La Liga grounds (14 of which join Real's Santiago Bernabéu and Atlético's Wanda Metropolitano; Konami's PES has a hold over Barcelona's Camp Nou), and there are even three from the Segunda División too. That's not all either. FIFA 19 will bring back an old German haunt, debut one of this past summer's Russian favourites, give the Prem's new boy's the official treatment and preview Tottenham's new stadium. The Champions and Europa League licenses weren't the only things FIFA stole from PES. 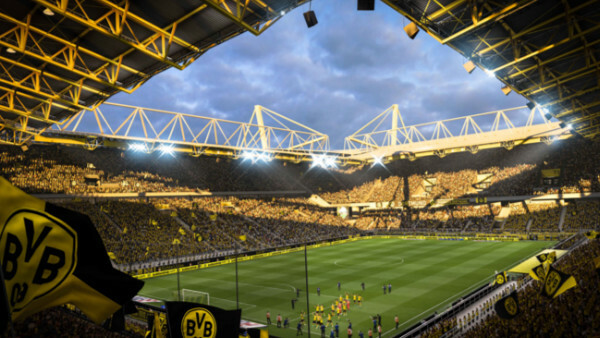 Borussia Dortmund's atmospheric yellow and black arena, Signal Iduna Park, is back as well. There's little doubt Barca's Camp Nou is the one EA want, but having the old Westfalenstadion exclusively is nice. 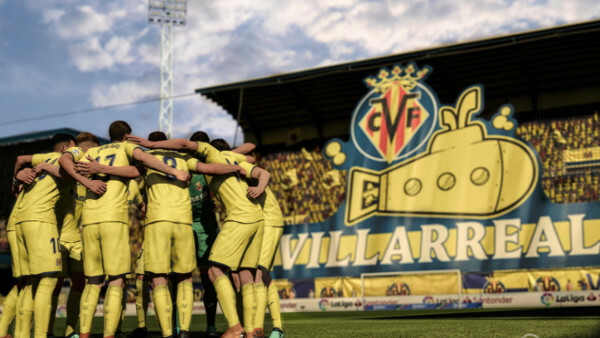 Playing as Dortmund in FIFA 18 didn't feel right without that imperious yellow wall of BVB faithful, and it left managing in the Bundesliga or using the club in Ultimate Team feeling like a less-than-authentic, hollow experience. No matter, it's back in the mix for FIFA 19, and it's a welcome return.